When Apple Music debuted last year, everyone asked the same question: how could it possibly compete with Spotify? Spotify has long dominated the streaming game, with a firmly established user base, an unmistakably slicker interface, those sweet Discovery playlists, and a ton of other fun features. Apple Music just has, uhh... the benefit of not being TIDAL? Apple Music has roughly half as many paid subscribers as Spotify. But if we know anything about Apple, it's that they don't like playing second fiddle -- especially when it comes to music, an arena where they once reigned supreme (remember when a little duo called iTunes and iPod completely changed the way we consume music?). Now Spotify says Apple is making an unfair play for its users... and Spotify is fighting back. Last week, Spotify made a stink over Apple's app store practices. The brouhaha began because, across the board for all apps within the iTunes store, Apple takes a 30% cut of any purchase you make within an app. That means every in-app purchase you make in Kim Kardashian: Hollywood puts money in Apple's pocket. It also means that, if you upgrade to Premium via the Spotify app, Spotify only gets 70% of the $9.99 you pay every month. That's why it jacked the price up to $13.99 for awhile, while keeping the $9.99 price for users who signed up on the Spotify website. 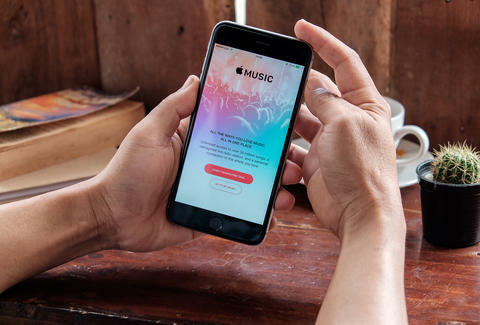 Ultimately, to stay competitive with Apple Music, it lowered the prices back down -- but got creative about encouraging new users to sign up outside the app, launching a promotional campaign that rewarded new subscribers with a discounted trial period -- as long as they signed up via the website. Apple called foul. There's a clause in its developer rules that mandates apps cannot offer codes or encouragement to side-step Apple's in-app billing mechanism, so they threatened to remove the Spotify app from the store unless it complied. This is where things get heated. In its last app update, Spotify removed mention of the promotion... but also turned off its app store billing option, completely. If you updated your Spotify app recently, you'll notice that its devoid of your credit card information, and there's absolutely no method of paying for Premium if you're a new user. Apple said "ah hell no," and when Spotify tried to push a new update, Apple blocked its release. This prompted Spotify to fire off a sternly worded letter to Apple -- and to Congress -- alleging that the company was being anti-competitive in order to encourage sales of its own Apple Music subscriptions. So who's right, Apple or Spotify? Many have called into question the merits of Spotify's complaint, basically saying "them's the rules" and Spotify is in violation. However, since Apple's own streaming service is obviously not subject to the same 30% fee for in-app premium subscription sign-ups, Apple is uniquely positioned to undermine its competitors. Apple's sneaky strategery to take down Spotify doesn't end there. Last week, the Wall Street Journal reported that Apple was in talks to acquire TIDAL, Jay Z's mess of a streaming music service. Considering its botched handling of practically every major release its had, and dubious claims of sonic supremacy, purchasing TIDAL seems downright silly. Or does it? TIDAL is the only big-artist-owned streaming service out there. And while most of those artist-owners are already mega rich and famous, its dedication to preventing the exploitation of musicians (read: paying them fairly) is a powerful recruitment tool that could be used as a bargaining chip to secure exclusive streaming rights of new albums. By acquiring TIDAL, Apple Music could, theoretically, add a number of high-profile artists to its exclusive ranks -- if everyone from Adele to Taylor Swift to ZZ Top was exclusively on Apple Music, a wide swath of music fans would probably ditch Spotify. 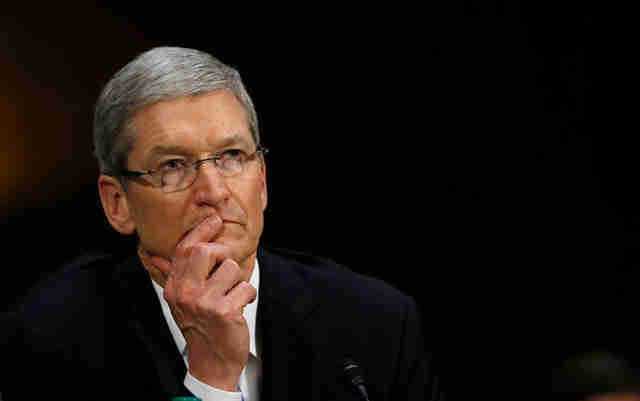 Will Apple successfully snuff out Spotify? I'm betting no. But then again, very few people have gotten rich betting against Apple. Joe McGauley is a card-carrying Spotify supporter and senior writer for Thrillist.